Monday, October 1st, 2018: Moon enters Cancer at 2:00 pm. Tuesday, October 2nd: Fourth quarter of the moon cycle begins at 5:45 am. Wednesday, Oct 3rd: Moon v/c at 4:33 am. Moon enters Leo at 5:12 pm. Friday, Oct 5th: Moon v/c at 7:34 am. 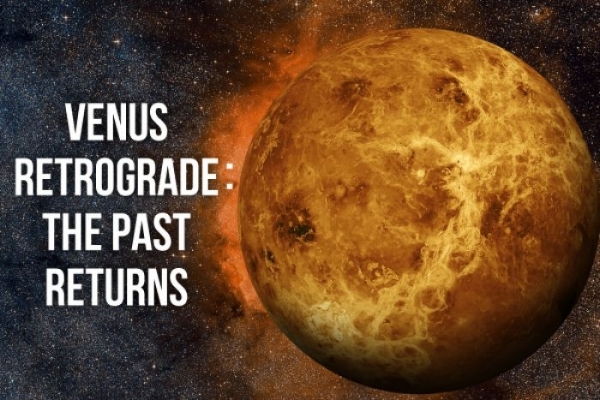 Venus retrograde begins at 3:04 pm until November 16th 2018. Moon enters Virgo at 7:19 pm. Sunday, Oct 7th: Moon v/c at 10:03 am. Moon enters Libra at 9:10 pm. Tuesday, Oct 9th: Moon v/c at 4:50 am. Mercury enters Scorpio at 8:40 pm. Wednesday, Oct 10th: Moon enters Scorpio at 12:09 am. Thursday, Oct 11th: Moon v/c at 7:12 pm. Friday, Oct 12th: Moon enters Sagittarius at 5:53 am. Saturday, Oct 13th: Moon v/c at 8:58 pm. Sunday, Oct 14th: Moon enters Capricorn at 3:17 pm. Tuesday, Oct 16th: The second quarter of the moon cycle begins at 2:02 pm. Moon v/c at 5:49 pm. Wednesday, Oct 17th: Moon enters Aquarius at 3:36 am. Friday, Oct 19th: Moon v/c at 8:27 am. Moon enters Pisces at 4;20 pm. Monday, Oct 22nd: Moon enters Aries at 2:58 am. Tuesday, Oct 23rd: Sun enters Scorpio at 7:22 am. Moon v/c at 2:18 pm. Friday, Oct 26th: Moon v/c at 10:49 am. Moon enters Gemini at 3:41 pm. Happy birthday to Jo’s son Robert!!! Saturday, Oct 27th: Happy birthday to my baby sister and one of my best friends in the world! Sunday, Oct 28th: Moon v/c at 12:37 am. Moon enters Cancer at 7:27 pm. Celtic Tree Moon of Reed begins. Tuesday, Oct 30th: Moon v/c at 10:31 pm. Moon enters Leo at 10:42 pm. Wednesday, Oct 31st: Mercury enters Sagittarius at 12:38 am. Fourth quarter of the moon’s cycle begins at 12:40 pm. Venus enters Libra at 3:42 pm. Happy Samhain/Halloween! photography credit: Some of the pictures were found on Google Images and others are by friends and family.